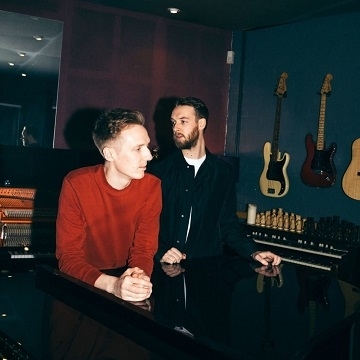 English electronic music duo Honne formed in 2014 in Bow, London, consisting of James Hatcher and Andy Clutterbuck who both write, record and produce the music. Taking their name from the Japanese concept of ‘true feelings’ and one’s intimate self, British duo Honne combine soul with synths to convey their vision of musical intimacy. The pair of producers, James and Andy, met at university and have been collaborating since.